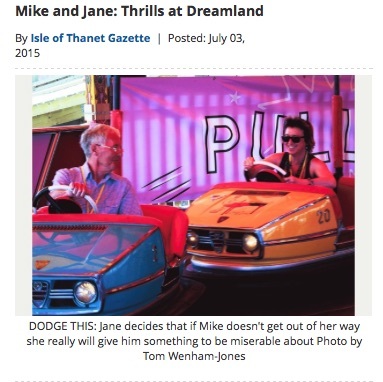 I wrote a fortnightly column for my local paper – the Isle of Thanet Gazette. It was part rant, part diary, part observation of local goings-on – whatever I fancied really. When I first started it, the then editor, Mike Pearce, said it was up to me if I wanted to be loved or hated and I could say what I liked as long as I didn’t libel anyone! On the whole I got more supportive letters than not, though I’d get the odd one telling me I talk rubbish. May 26, 2009: Expense account? April 14, 2010: Who do you really know? February 18,2013: Lasagne? What’s the beef? 10th May, 2013: With beaches like ours, why are we still languishing in deprivation? 8th November: Plain Jane 081113: Who says we can’t make our own entertainment?